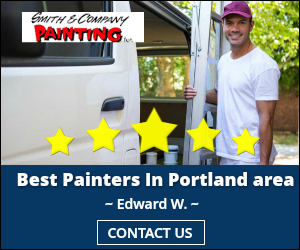 Fine dining establishments, family restaurants, and fast food stores from Portland to Beaverton have hired Smith Paint and Coatings Inc. for top quality painting and floor coating. We understand the unique demands in dining areas, bars and commercial kitchens. We use a variety of high performance paints and concrete floor coatings depending on the requirement. Restaurant walls and floors get a major workout every day. We’ll recommend long lasting, scrubable paints for your dining room and kitchen areas. Anti-bacterial concrete floor coatings and wall painting can be used in all restaurant areas. Ask us about or non-skid floor surfaces. Restaurants need to be sanitary, safe, and beautiful. We can help you achieve an elegant or classic look in your dining area and entranceway. We are experts in revitalizing exterior facades, staining and sealing wood trim. Your customers will be drawn to your entrance and be delighted by your interior. Your restaurant offers more than just food and drink. It’s also a place to relax and socialize. We understand the importance of curb appeal and first impressions. We take extra care when applying wood stain to bars, benches, and other seating to create an atmosphere your customers will want to return to again and again. It might be easy to forget about ceilings and fixtures, but when ceiling tiles and electrical boxes are neglected, the atmosphere of your dining room is affected. 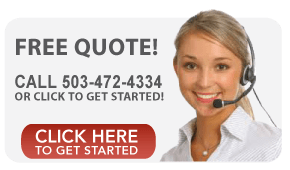 We specialize in ceiling, duct, and pipe painting. We’ll help you choose paint that’s long lasting and easy to clean. Many customers judge a restaurant by the cleanliness and appearance of their restrooms. Our anti-bacteria, non-skid concrete flooring is easy to clean and eco-friendly. Its non-porous surface can be easily cleaned with non-toxic cleaners reducing your labor and cleaning supply costs. Decorative options are available so the restroom floors and walls can coordinate with the dining room.